The first thing to mention is that EPIKGO are a silicon valley based Company. That´s where this board came from. At least, that´s what their website tells you. Of course, in reality this self-balancing scooter was designed in Silicon Valley but manufactured in China. That´s not necessarily a bad thing, most hover-boards are made in China. But, Chinese manufacture does have a reputation, true or false, for cutting corners. 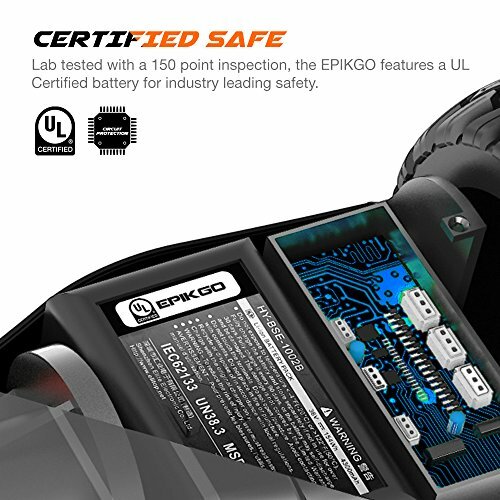 I´m bringing this up because the EPIKGO Sport is placed in the top end of the market price-wise. If you´re investing a significant amount of money, it´s because you want something that will go the distance. We´re going to run the Sports series through its paces to see if it´s truly up to the challenge. A lot of the heavy-duty, off-road hover-boards come with a catch. They´re heavy. The extra weight often off-sets the motor which results in a sluggish board. I´m pleased to find that this hover-board weighs just 33llbs. Considering that inside there´s dual 400W motors powering those large 8.5 inch wheels, it´s pretty light-weight. The motor´s 800W output can climb 18 degree inclines without losing power. Its top-speed is 9mph which you ride at for around an hour before having to recharge. The recharge time is relatively quick too, taking just 2 to 3 hours to reach full. 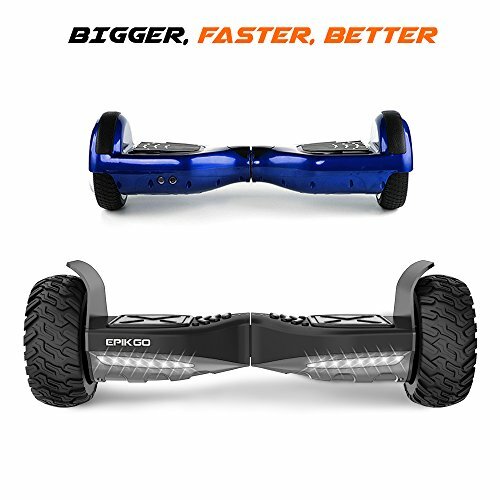 Having larger tires with grip means the engine transfers more power to the tarmac and this hover-board doesn´t feel frail at the top speeds, if anything it feels like it could go a lot faster. The deck has lots of foot space and can carry around 200llbs without losing performance. I suspect it could carry a lot more than 200llbs given the power, tires and weight. The performance of the Sports series on flat-tarmac is really impressive, it´s when you go off road you run into problems. 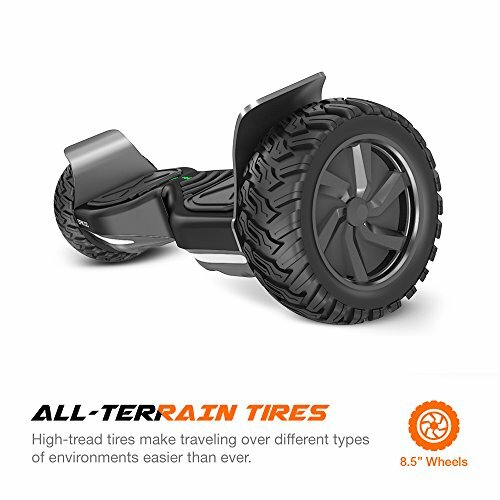 When you take this hover-board off the tarmac and onto sand, or dirt trails the performance really suffers. The wheels, although large, struggle to deliver power onto the floor. This means the speed drops off; if you´re even moving at all. I don´t want to be too harsh because most hover-boards struggle outside of their comfort zone. 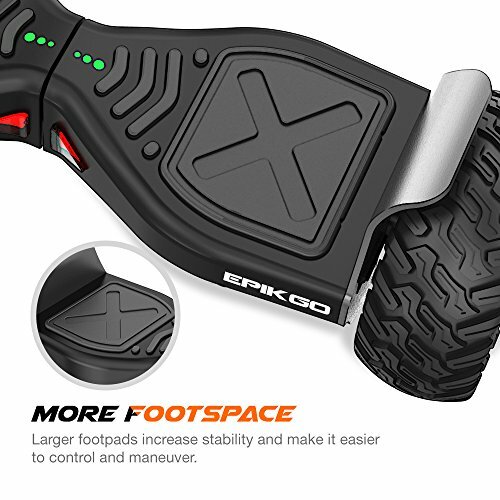 With an IP rating of 56 the EPIKGO Sports series is sold as an off-road board, unfortunately in this area it´s not up to scratch. Having said that, the performance on road is fantastic. 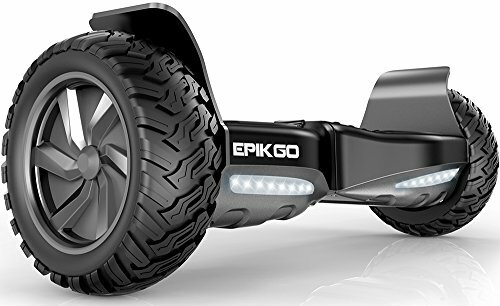 The Epikgo Sports is a reasonably expensive model which puts it in the vicinity of the mini-Segway. The build feels quality all over. There are no rattling parts, it´s got a good weight to it and the wheels cages are metal. The frame itself is built from an aluminum alloy which should last a few years. My overall impression is that the Sports series is built to last with the engines hardly feeling the strain on a low charge or at top speeds. This is a quality product that is more than capable of delivering excellent personal performance. The materials are top quality, the aluminum alloy frame especially. The EPIKGO Sports series really performs well and is built to last. It´s a slightly more expensive hover-board, but the features and build quality make it value for money. The only black mark is the off-road capabilities. If you´re looking to ride it around the local park or on the sidewalk it´s immense.